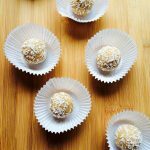 You will LOVE these No-Bake Coconut Cookie Dough Energy Bites!! They are super healthy and beyond easy to make. They’re vegan, paleo, keto, gluten-free, oil-free, dairy-free, sugar-free, low-carb & low-calorie – only 73 calories each! As a kid, one of the best parts of making cookies with my mom was to sneak some of the cookie dough when she wasn’t looking. What kid doesn’t love cookie dough?! I have still not outgrown my love for cookie dough (I think I’m doomed at this point), so this recipe is a perfect way to get my cookie dough fix without adding inches to my waistline. 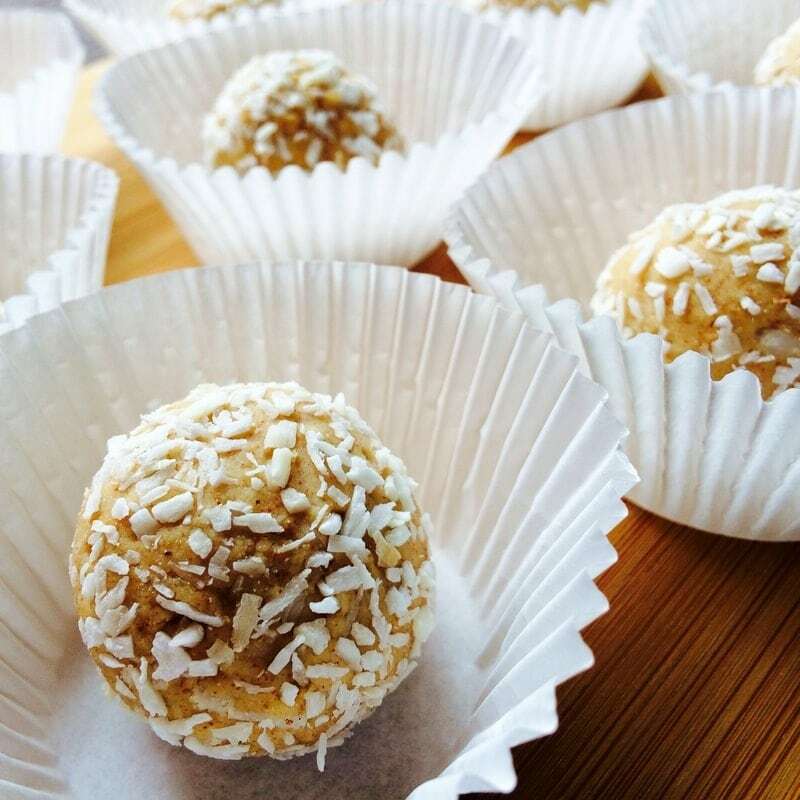 These No-Bake Coconut Cookie Dough Energy Bites are the perfect, healthy bite-sized treat that will satisfy your sweet tooth and give you that perfect little boost of energy to get you through the day. & ready in 10 minutes or less! 1. Combine coconut flour and almond butter in bowl and mix thoroughly. 2. Add in applesauce, water, vanilla extract, cinnamon, and stevia. Mix thoroughly. 4. Coat with shredded coconut. You will LOVE these No-Bake Coconut Cookie Dough Energy Bites!! They are super healthy and beyond easy to make. They're vegan, paleo, keto, gluten-free, oil-free, dairy-free, sugar-free, low-carb & low-calorie - only 73 calories each! You do have such an interesting blog. Thank you! Great recipe. Couldn’t really agree more. I’m really impressed with the quality of content and information you pals are sharing on this website. Totally fascinating. verynice cookies recipe i must try this at home. Download mobdro free and enjoy live tv streaming. looking great i really like cookies. very nice article.. check it out here..
superb article keep upading more and more.. It is looking so yum!!!. I am going to send the link of this recipes to my mom.